The PBS B-Quad with K200 up front can be seen in the drone footage below undertaking testing, and is set to cart carrots for iconic Rocky Lamattina & Sons. The trailer set was manufactured by Southern Cross Trailers and is a combination they’re proud to call an on-road Australian first. "It was something that we proposed after getting a better understanding of Lamattina’s trailer requirements," Says Southern Cross Trailers Business Development Engineer, Phill Ramfos. "They let us build without boundaries, the only boundary we had was the network they were carting produce on." 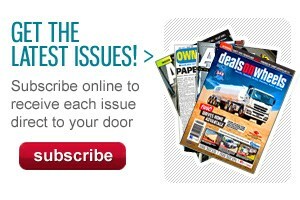 Extensive testing led Southern Cross Trailers to the verdict this combination offers benefits far beyond just payload. Ramfos explains that it offers unique weight distribution across axles and by virtue of its design, tracks like a B-Double. "Talking to the owners they’re pretty impressed with the performance of the combination and its manoeuvrability, we think it’d just about get through a Maccas drive-through!" he jokes. "It’s not just unique in its configuration, its unique in how it distributes the mass across the axle loads. "It’s critical for asphalt, bridges, for a lot of things and that’s what we aimed to do – design something outside the box and offer a benefit for industry, community and the customer." Rocky Lamattina and Sons General Manager Angelo Lamattina says the decision to build a B-Quad came down to both manoeuvrability and getting the weights right on the axle groups. "We were looking at another A-double but it’s difficult getting the weights right on the axle groups, so going with a B-Quad we were able to move the turntable back and forward until we got the load where we wanted it," Lamattina says. The company transports carrots between their three farms in Victoria and Queensland and Lamattina says the B-Quad is already approved on the route they travel, as well as offering high levels of handling and safety. 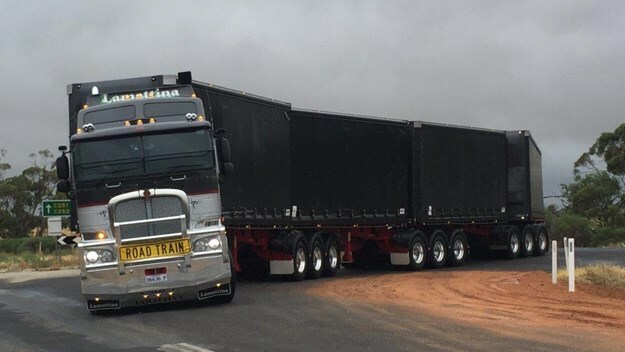 "I spoke to Phill at Southern Cross Trailers and we came up with a design for the B-Quad that kept it under 36.5-metres long, because the road train route is here already," he says. "At the end of the day, if we felt that increasing the productivity of the vehicle was going to create an issue with safety we wouldn’t even head in that direction. 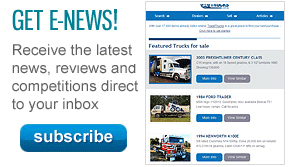 "This has more wheels on the ground and with the extra trailers it drives nice and flat. When you go around a corner it’s also a lot more stable." 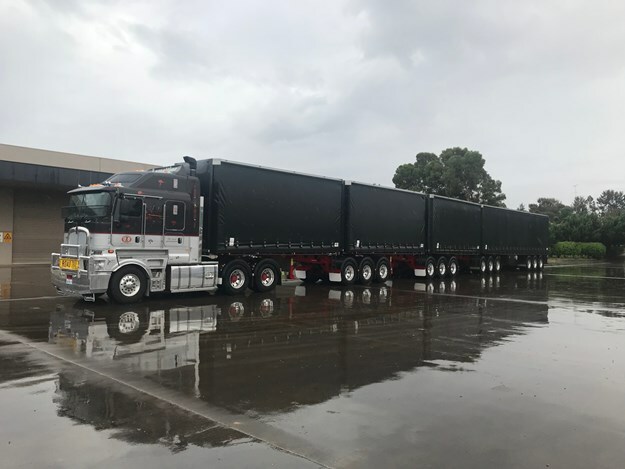 National Heavy Vehicle Regulator (NHVR) chief engineer Les Bruzsa, also known as the ‘Quadfather’ in transport circles, says this B-Quad offers significant productivity gains over a traditional Type 1 Roadtrain. "This is the first B-Quad that’s not a mining vehicle, set to be operating from next week," Bruzsa says. "The General Mass Limit (GML) is 103 tonnes and the Higher Mass Limit (HML) is 105.5 tonnes – so if you look at a Type 1 Roadtrain, this one can provide more than 20% productivity improvement." In terms of performance Bruzsa says the B-Quad sets a high benchmark within the PBS Scheme, both for low and high-speed handling. "The B-Quad is an absolutely fantastic combination and as far as dynamic stability it’s a benchmark vehicle," he says. "This vehicle has really excellent characteristics, it’s extremely stable and the high-speed dynamics are fantastic. "It’s extremely stable at the rear, the rear axles are tracking with the prime mover. "It’s also got disc brakes, electronic stability control, so all the latest technology fitted." The NHVR will be showing the new B-Quad combination to industry in a PBS Demonstration at Forbes Central West Livestock Exchange Wednesday 8 August from 11.30am to 3.30pm.